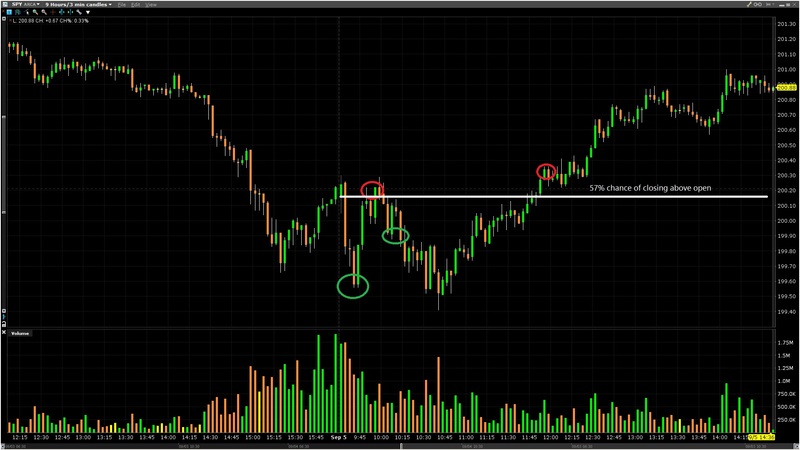 The system produced a bullish edge based on overlapping conditions. 56% probability is by no means a great edge, but the profit factor was enticing to me. A PF of 1.67 indicates that for every dollar I risked under similar conditions, I stand to make 1.67. My plan was to buy the dips. The market dipped and buyers ramped prices back to the open where I exited. What I’m upset about is getting out way too early (I always do).